MOSCOW (Sputnik) - At least four people were killed and seven more injured when a rocket hit Al-Fallah refugee camp in the Libyan capital of Tripoli, media reported on Sunday. According to the Sky News Arabia broadcaster, the rocket was fired by one of the armed groups fighting in the suburbs of Tripoli. Al-Fallah is one of a number of camps housing those displaced from the town of Tawergha close to Misrata. Tawergha residents, known for their darker skin, were ethnically cleansed from the town after its capture by anti-government militias from Misrata during the Libyan civil war. The residents have been accused of leading the siege of Misrata by forces loyal to late leader Muammar Gaddafi and have since been persecuted and prevented from returning home. Meanwhile, the Italian Embassy in Tripoli said Sunday that reports on it evacuating its staff due to ongoing clashes in the Libyan capital were not true and that the mission was operating as normal. The Libyan Government of National Accord (GNA) announced on Sunday a state of emergency in the country's capital and its surroundings due to persistent clashes between rival armed groups. Arab media reported on the evacuation of the Italian mission earlier in the day. "The Italian Embassy in Libya remains open. We continue to stand by the beloved people of Tripoli in this difficult juncture," the mission tweeted. Starting August 26, the southern suburbs of Tripoli saw multiple clashes between the so-called Seventh Brigade from Tarhouna, also known as Kaniyat, and the Tripoli Revolutionaries Battalion (TRB), nominally affiliated with the GNA Interior Ministry. At least 40 people have been reported killed. Libya has been in turmoil since the 2011 civil war, which resulted in the overthrow of its longtime leader Muammar Gaddafi. 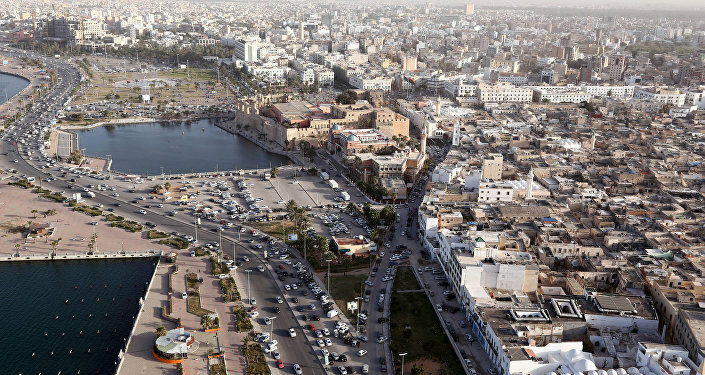 The eastern part of the country is governed by the House of Representatives with headquarters in the city of Tobruk. The UN-backed GNA, headed by Prime Minister Fayez Sarraj, operates in the country's west and is headquartered in Tripoli.